When the no-handed aerial known as the Ollie was created 40 years ago in 1978, no one had any idea how influential and ubiquitous this skateboarding maneuver would be in the years to come. 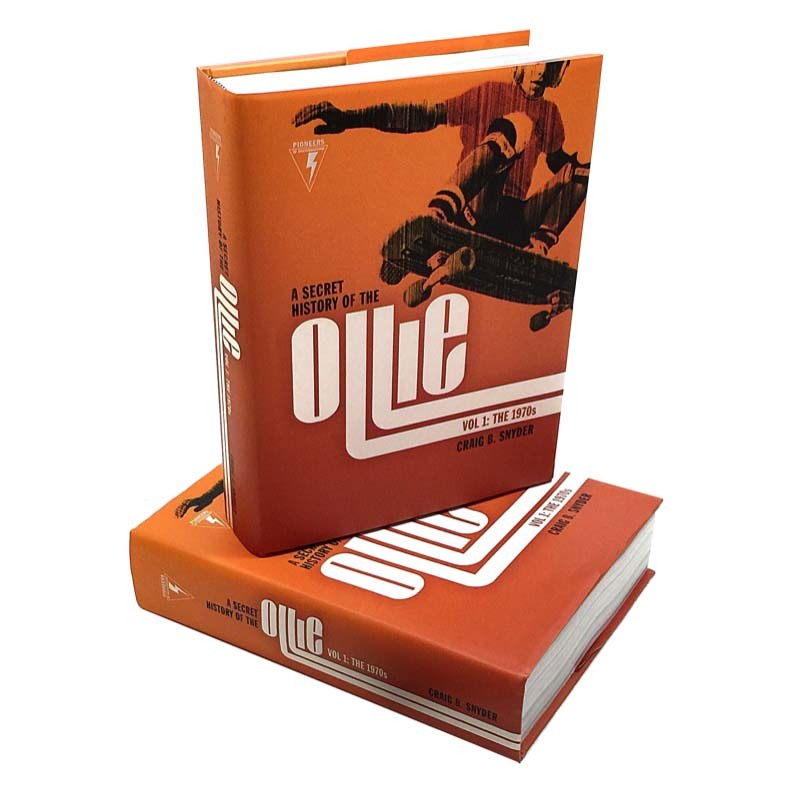 All copies of A Secret History of the Ollie, Volume 1, are signed by the author, and come with an assortment of stickers and bookmarks. Order 2 books or more, and get FREE economy shipping on your entire order. Books ship within 24 hours by USPS Media Mail with tracking. Expedited shipping by Priority Mail is available upon special request for an extra flat fee of $5.00 per order. Pay with PayPal, or go to bottom of PayPal page and pay with debit or credit card directly through a secure connection. PLEASE NOTE: This offer is only available for shipping to addresses within the United States. Orders for more than one book must be shipped to same address. If books are being shipped to different addresses, then separate orders must be placed. The award-winning book on the birth of modern skateboarding. Over 1200 images and photographs illustrate this 912-page unprecedented work. 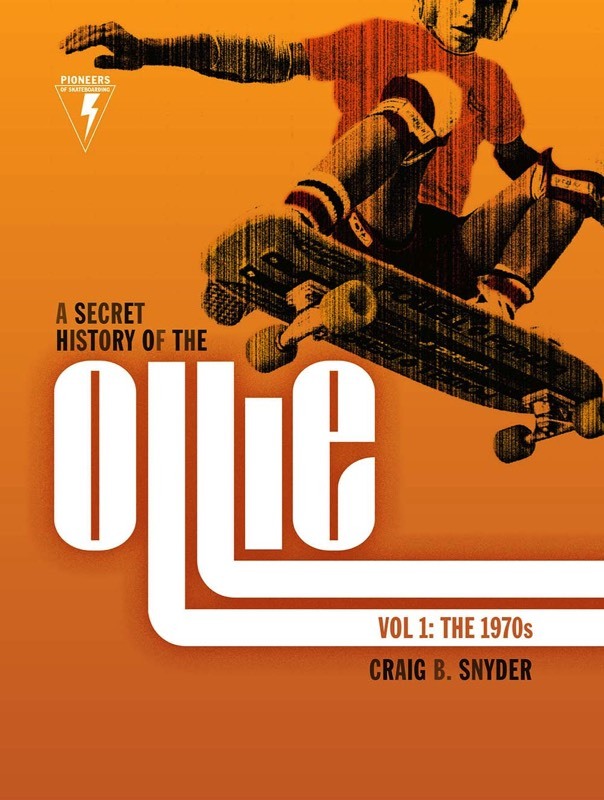 A Secret History of the Ollie is the winner of five book awards, including three gold medals, and it was chosen as one of the Top 10 Photobooks of the Year by Mother Jones magazine. Regarded by many as "the bible of skateboarding," this is a book that should be in every home, school, and public library. Special edition skateboard deck crafted and produced by Professor Paul Schmitt of PS Stix / Schmitt Stix fame. This a historically-designed deck that is reflective of the old school pigs or wide bowl riding decks that were produced from 1979 to 1982. 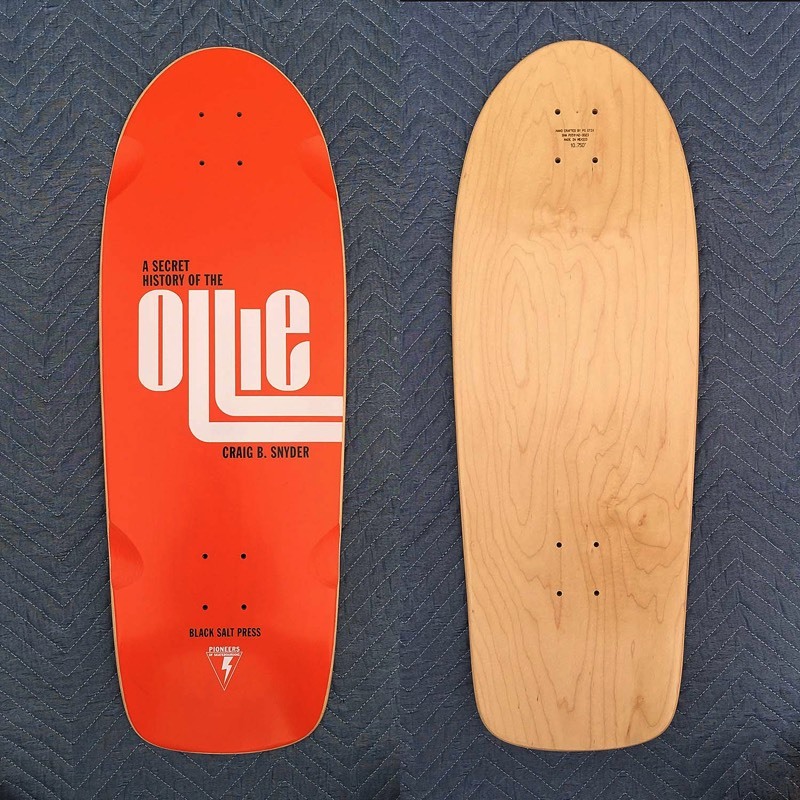 It is similar in shape and dimensions to the Powell-Peralta Ollie Tank model that Alan "Ollie" Gelfand was riding during that era. 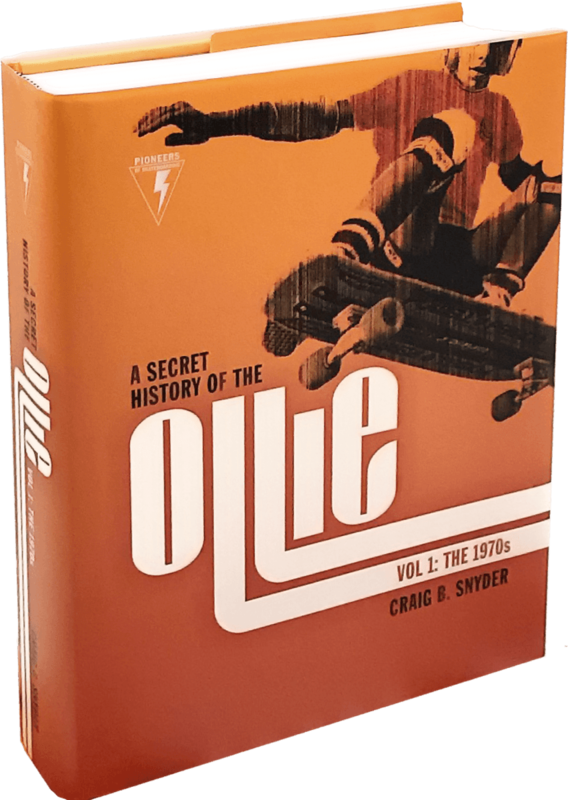 A Secret History of the Ollie skateboard decks are a collaboration between Paul “The Professor” Schmitt and author/photographer Craig B. Snyder, and manufactured by PS Stix in Costa Mesa, California. 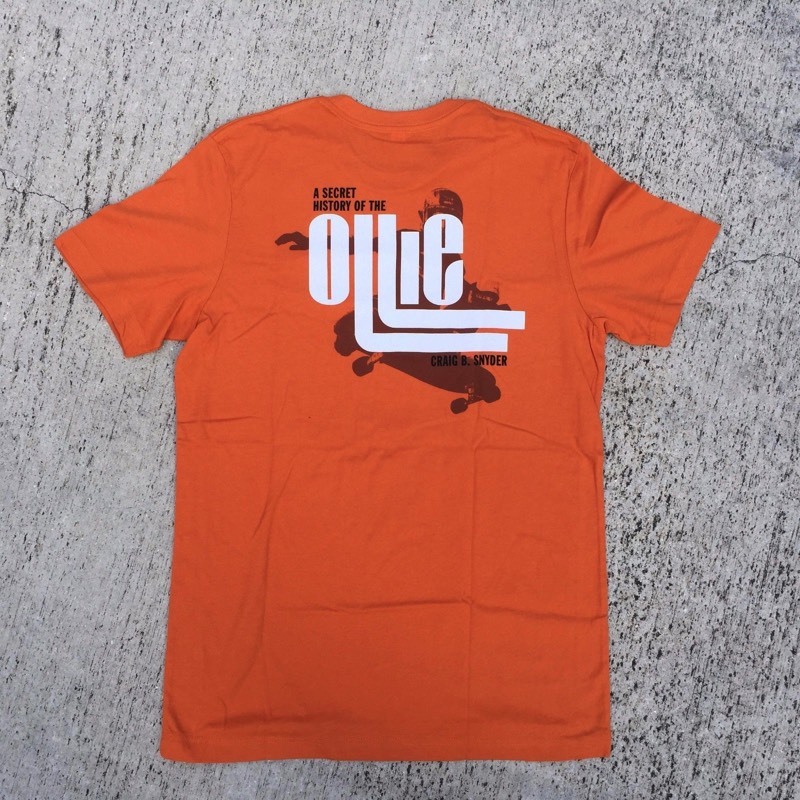 Special edition "A SECRET HISTORY OF THE OLLIE" T-shirts printed on fine high-quality 100% soft cotton. 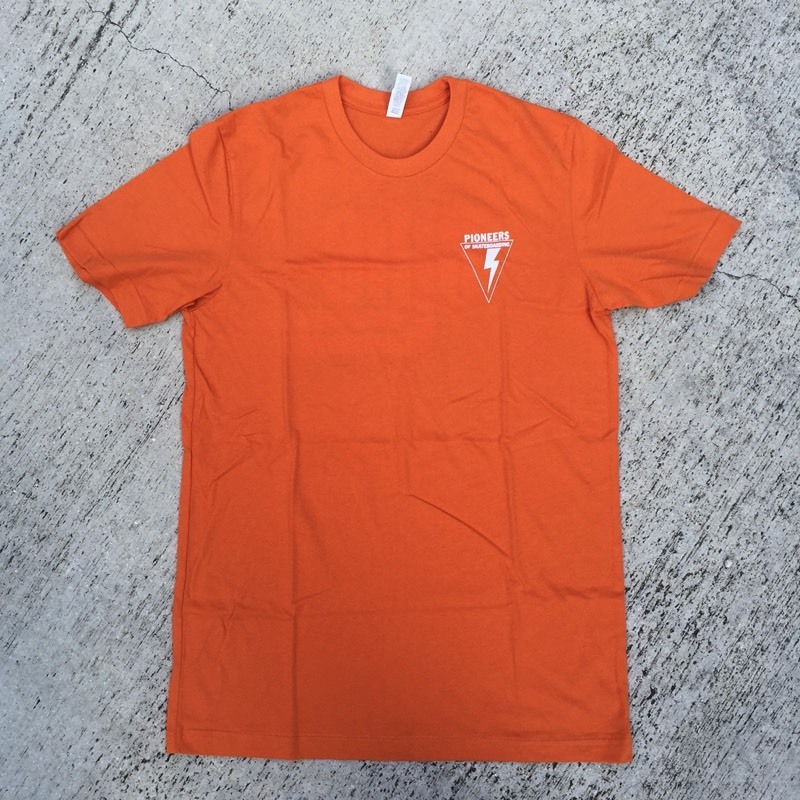 Available in sizes Small, Medium, Large, Extra Large (XL), and XXL.